Nigeria’s Uti was chosen by Africa as the winner of M-Net’s Big Brother All Stars during Sunday night’s spectacular live Finale Show (17 October at 19:00 CAT on DStv Channel 198) after 91 gruelling days. He beat Zimbabwe ’s Munya by 8 countries to 7 to scoop the massive US$200 000 prize, outlasting the 13 other All Star Housemates over three months. When the evening began, there were 5 housemates in with a chance of claiming the continent’s biggest reality show prize – Lerato, Munya, Mwisho, Sheila and Uti but they were evicted one-by-one, leaving Uti alone in the House. Presenter IK kicked off the show by joining the remaining Housemates in the lounge and quizzing them about their feelings about having made it this far in the game. Nigeria’s Maye Hunta then took to the stage and blew the continent away with a high-energy performance of the official Big Brother All Stars Anthem, African Star. IK then asked Meryl to make a choice. “You didn’t win the money, but you got yourself a man. If you had to choose, US$200 00 or the man – what would it be? Be honest!” “As much as I love paper, I love my man!” she replied. Then it was time to get down to business as the Alexander Forbes representative delivered the verified results to the stage, to evict the first Housemate of the evening. “Welcome to All Stars News – Big Brother has decided to give US$200 000 to charity, and all housemates will be evicted,” joked IK as he took viewers inside the House. “The first Housemate of our final 5 leaving the All Stars house is…Sheila, you’ve been evicted,” he said. “See you just now,” said the Kenyan as she departed for the final time. She joined IK on stage and he quizzed her about how it felt to have stayed in the game for so long. “I must say, it was hectic, especially in the last week, because you get closer to the money and as you can see I’m out here, but we had so much fun! I’m going to savour every one of the 91 days,” she told him. “What are you going to do next?” he asked. “A lot! A whole lot. Travelling to most of the countries and having a lot of fun,” the Kenyan replied before joining the other 9 evicted Housemates. Wasting no time, IK immediately set about evicting another Housemate. “The second Housemate leaving the Big Brother All Stars House tonight is… Mwisho you’ve been evicted!” He said goodbye to Munya, Lerato and Uti and joined IK on stage. “We’re curious about your plans – forgive me, we’re going to pry a bit here. Is she (Meryl) going to move to your country or are you going to move to her country?” asked IK of the newly-engaged Tanzanian. “We’re gonna be the continent!” said Mwisho, glancing over at a teary Meryl. Superstar Nigerian rapper MI took to the stage next to perform “Anotyi” before IK reminded viewers of some of the highlights which had taken place in the House – with so much money up for grabs and a group of competitive contestants, things were bound to get hairy from time to time! After accepting the envelope from the Alexander Forbes representative, it was time to go back into the House. “Lerato, how do you feel right now?” asked IK “I’m shaken up IK, it’s a very scary position. My heart is beating at super speed – I’m a little nauseous,” she said. “Munya how do you feel?” he asked. “My man, inside I’m going like this (shaking) all the time, it’s nerve-wracking, my man,” said the Zimbabwean. “Uti?” asked IK. “So many, things, I’m just thinking,” he told his fellow Nigerian. “It’s time to tell you what the people have decided. The third Housemate leaving the final five on Big Brother All Stars is… My girl Lerato, you have been evicted,” he told them. As the South African emerged on stage, he asked her about her relationship with Yacob. “I didn’t ask you this the last time because we weren’t sure about this, but let me jump right into your business Lerato. In the Barn you and a certain someone had fights and interesting conversations and happenings. One minute you were fighting, the next… What’s going on between you and Yacob?” “I see him over there and he’s looking mighty mighty mighty fine,” she said. “How good is the friendship? Anything like the Mwisho and Meryl thing?” asked IK. While the continent digested the news that Uti and Munya were just one step away from the US$200 000 grand prize, three quickfire performances brought the audience to fever pitch – first, Kenyan star Wyre took to the stage and performed his smash hit “She Said That”, before Nigeria’s 2Face performed “Implication” and DJ Black Coffee and Tumelo rocked the stage with “Release Your Soul”. With the continent waiting with bated breath, IK took viewers into the house to reveal the winner of Big Brother All Stars. “This season has been just about the closest season ever – and the biggest season ever. Just last week alone, we had more votes than we’ve ever had on the show before. Last year was around 700 000, this year, over a million people have voted. People must really love you guys in the house!” he told Uti and Munya. “The margin between the winner and the first runner up was so slim. In the end, it was 8 countries to 7 countries, but alas there can be only one. The winner of Big Brother All Stars, with 8 countries behind him, is…Uti you’re the winner, Munya you’ve been evicted!” Uti leapt from the couch while Munya sat stunned with his hands behind his head, before congratulating his Housemate. “My strategy was just to do better than I did the last time and I succeeded in that, and I’m really happy,” said the Zimbabwean. “I know this is not the last we’ll be seeing of you – what are you going to be doing next?” asked IK. “I’ve just shot my movie, so I’m trying to get my movie onto the big screen so that people can see more of me. I belong on TV, I live here, you know?” said Munya with that ever-present smile. Dancing his way through the fireworks in the garden and jiving onto stage, he was greeted by a wall of sound as the continent paid tribute to the ultimate All Star. He wasn’t going to get off without revealing his secret, though, as every evicted Housemate has to let the other Housemates know their secret. “You managed to keep your secret til the very end, so you keep your US$1000 as well – tell us what it was,” said IK. “My secret is, when I was a teenager, I had a teenage crush on Britney Spears,” he revealed. 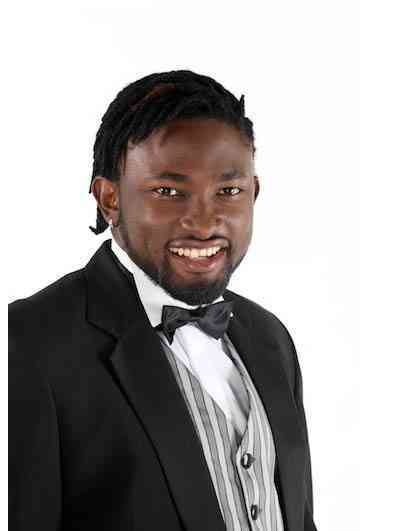 As Uti counted, the lights in the house switched off and the cameras faded to grey, signalling the end of the continent’s popular show and hailing the latest Big Brother winner. For the final time, viewers stood a chance of winning one of 4 great prizes – just for voting for their favourite. The winners this week were: US$ 1000 – Anne Nwokoro (Nigeria), HD PVR Decoder – Tebogo Mangabi (Botswana), Nokia C3 Handset – Lijeng Ranwoe (Lesotho), Nokia N8 Handset – Keamogetswe Pitoli (Botswana).